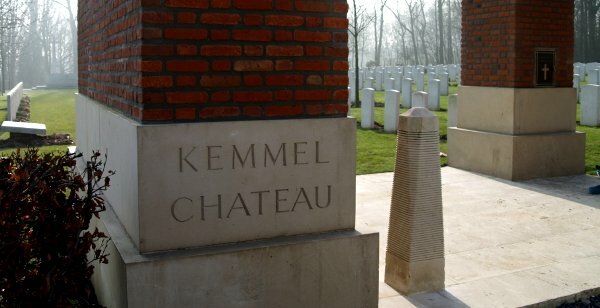 KEMMEL CHATEAU MILITARY CEMETERY is located 8 kilometres south of Ieper on a road leading from the Kemmelseweg (N331), connecting Ieper to Kemmel. From Ieper town centre the Kemmelseweg is reached via the Rijselsestraat, through the Lille Gate (Rijselpoort) and straight on towards Armentieres (N336). 900 metres after the crossroads is the right hand turning onto the Kemmelseweg (made prominent by a railway level crossing). On reaching the village of Kemmel the first right hand turning leads onto the Reningelststraat. 600 metres along the Reningelststraat lies the right hand turning onto Nieuwstraat. 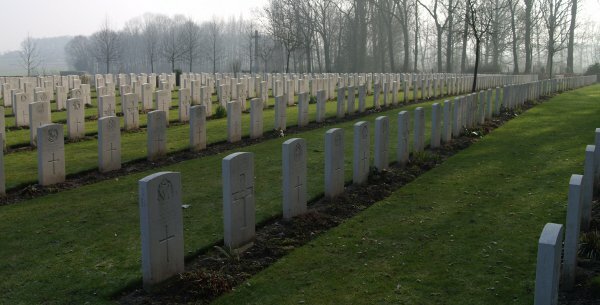 500 metres along the Nieuwstraat on the right hand side of the road lies the cemetery. 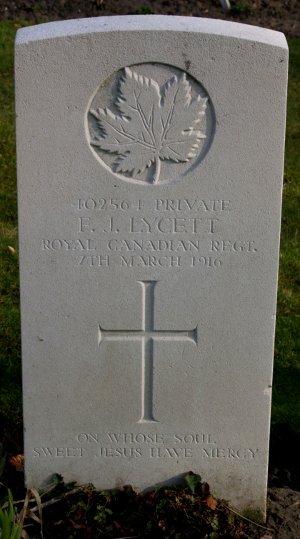 Royal Canadians buried at the Kemmel Chateau Military Cemetery are listed below.